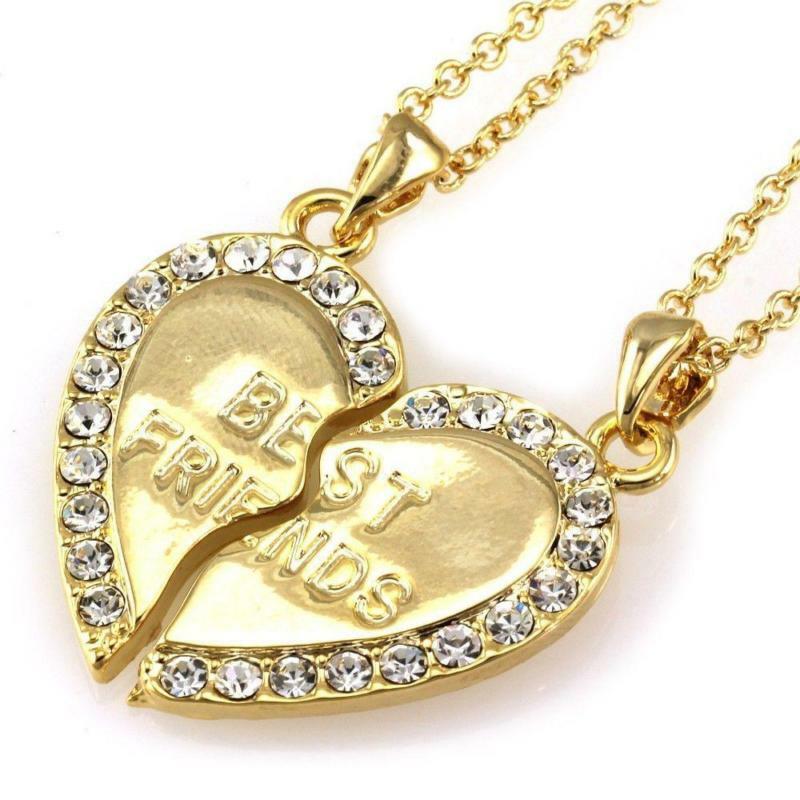 Best Friend Jewelry What You Should Gift Your Best Friend. One of the best ways to express your love and appreciation to your best friend is through Best Friend Jewelry. The boundary of best friend jewelry is only as far as your imagination, as there are many types of creative gift ideas for friends that you can go for. The best gift you can give to your friend is best friends jewelry. You can give him/her beautiful pendants, bracelets, chains or lockets this time. They will feel very special and so wonderful in your eyes when you give them such fantastic gifts. You have to give authentic stones and jewelry to your best friends. There is so much quality diamond jewelry available these days, which is original and not as expensive. Your best friends will find their best friend jewelry gifts extremely useful as they can wear them on dances, cocktails and dates. There are many ways to show your best friend the love and affection that you hold for them. There are various types of personalized best friend pieces of jewelry and best friend gift ideas that you can share with a friend, or many friends if you have a group of good friends. You and your friends all can purchase the same best friend necklace with the same carved name discs necklace and birthstones set into gold plated silver. In this necklace, the discs will have the name of your best friend, along with their birthstones. As many discs as needed can be set on the necklace, making it perfect for those who have more than one best friend that they want to make a personalized Best Friend Diamond Jewelry for. 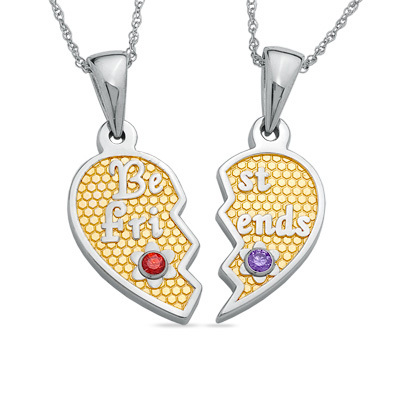 There are also pieces which are custom best friend jewelry that is different for each individual that receives them. 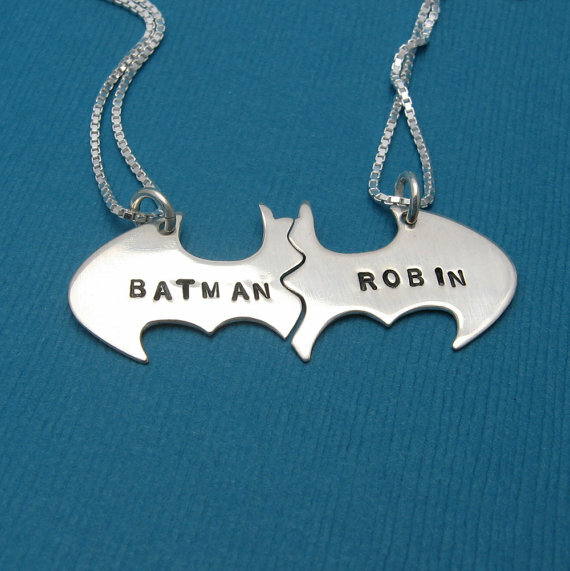 One of the best and popular selling examples of this kind of jewelry is the split Batman and Robin friendship pendant. The complete piece looks like the famous Batman symbol. It is crackdown from the middle, with each half dangling on its own necklace. Each half of the piece can have a different name engraved upon it. It’s all your choice to engrave Robin and Batman or your own name on them. For those who have a big squad of close friends that they want to remember with personalized best friend jewelry, there are several examples; the best-selling being the heart design birthstones name necklace, which comes in a silver color, in addition to different best friends bracelets. The piece is a big heart, with the birthstones of every person along the edge. Along with a smaller heart indented in the center of the big heart with the names of each person inside it. You can give them best pair – friends jewelry. You can also give your best friends, for instance, a locket that comes in two parts. As you have noticed there are many types of best friend jewelry that you can go for. If you want a customized unit you should contact the store that you are planning on purchasing from. To be clear that you have bought high-quality jewelry you should buy from a well-known store. No matter how many people you want to buy this personalized friendship jewelry for, here you can Get Named Hip Hop Diamond Necklaces. We will help you find something that will fit you and your friends. All of the pieces are with the highest quality and come with a guarantee for your long-lasting friendship. Visit our jewelry store today!